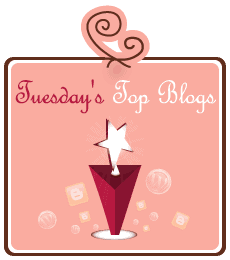 Welcome to Tuesday’s Top Blogs! Come and discover some new and interesting blogs. Each week I will feature a different person and ask them to list their five favourite blogs and why they like them. This week, I’m pleased to have Tamilee from Tamilee Tips joining us. My site is about saving money on the things you need so you have it for the things you want. We love sharing great deals and giveaways. We Use Coupons: Nathan offers great deals for all over the country. Klippin’ Krazy Koupons: I like that she gets so excited for great deals and is always sharing new things. Money Saving Michele: I like how bright and cheery her site is. She is very upbeat and fun. Just Married with Coupons: Just Married with Coupons offers a great variety of giveaways. The site is easy to read and go through. Coupon Crazy in Kentucky: Coupon Crazy in Kentucky offers great giveaways and deals.